The exam is taking place in 04 Shifts i.e 9:00 AM - 10:00 AM, 11:30 - 12:30, 2:00 - 3:00 PM and 4:30 - 5:30 PM. The first slot of IBPS Clerk exam is over now. Lets have a look on the detailed review given below. All the three sections remained unchanged as previous shifts. 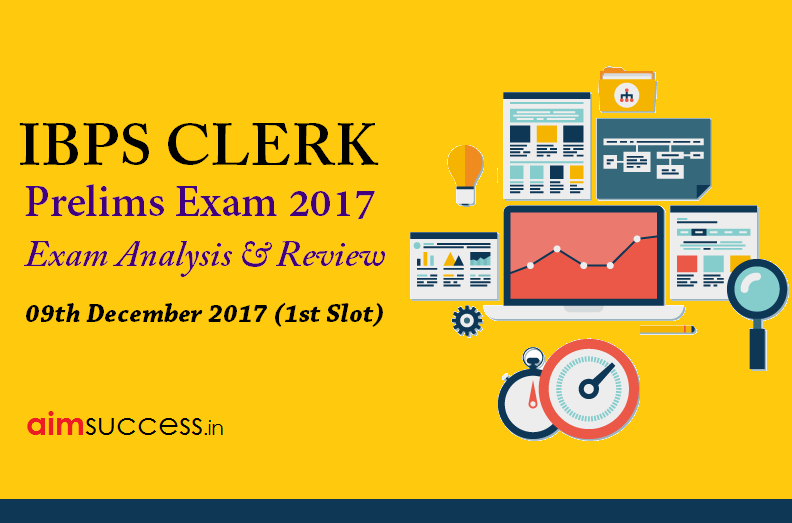 English Section was equally difficult and challenging as observed in the IBPS Clerk Pre Examination on 2nd and 3rd of December. The topic of Reading Comprehension was based on "
There were new pattern questions on idiom and phrases where one had to choose an idiom/phrase the was similar to the word given in bold. There were questions of double fillers. In sentence rearrangement, parts of a sentence were to be rearranged to make a meaningful sentence. The level of Reasoning Ability Section was Easy.